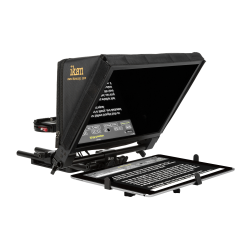 HOUSTON, Texas, (April 17, 2017) – Ikan has announced a new line of lights, the Stryder, at this year's NAB Show held at the Las Vegas Convention Center from April 24-27. 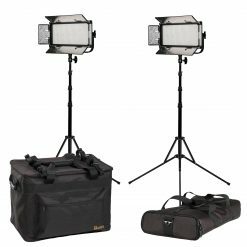 The Stryder Bicolor Fresnel field light (SB200) and the Stryder Daylight Fresnel field light (SW50) are great additions to Ikan's line of LED lights. The Stryder Bicolor 200 watt LED light or SB200 is a part of Ikan's new Stryder line of COB LED lights. 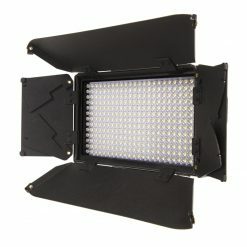 The SB200 is a 5″ Fresnel light that can change from a wide beam angle to a tight beam with just a click of a latch. With an extremely quiet active cooling system, professionals can easily keep working through any shoot. In addition, the Stryder is easy to move around on set with its lightweight Nylon-Resin body and easy setup. The light's hardy outer shell makes the Stryder resilient from the rigors of any shoot. With DMX512, this versatile field light can be used in or out of the studio. 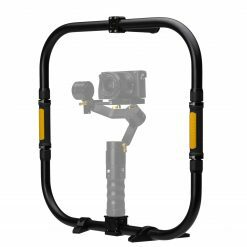 Using the gold mount or V-Mount battery, the Stryder can be used in any environment. With four way barn doors included, the Stryder SB200 bicolor LED is all you need on set. The Stryder Daylight 50 watt field light or SW50 is a 4″ Fresnel light that can also convert from a wide to a tight beam angle with a latch. The SW50 also has an extremely quiet active cooling system to keep it working through any shoot. With 18650 batteries, the SW50 can be easily powered and used in any production environment. Both the SB200 and the SW50 have a large yellow knob control on the back, making it easy to operate menus and adjust colors. “The Stryder is a new line of portable field lights that works great in almost any situation whether it's the Bicolor 200 or the Daylight 50. Both lights are great for any production,” says Barry Garcia, Product Manager. 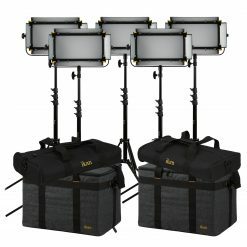 For more information on the Stryder lights, stop by Ikan's booth (C10919) at NAB or check out ikancorp.com.